The Monserrate Palace,in Sintra will organize a day dedicated to accessibility. During May 27th will take place throughout the day guided tours especially geared to the blind, deaf and wheelchair users. 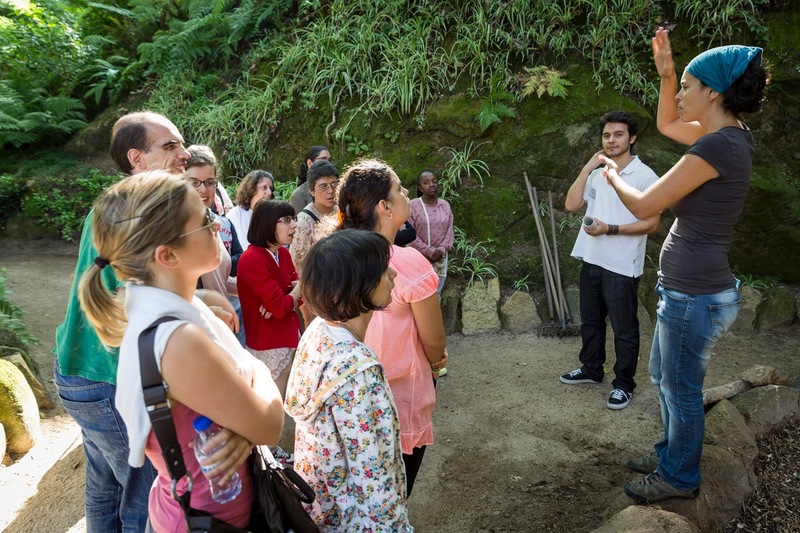 This initiative is part of the project “Sintra Parks welcome better” that aims to improve the conditions of access to the Park and Palaces guaranteed universal access to natural heritage and built. “Sintra Parks welcome better” has as partners the Turismo de Portugal, IP (funded 25% of the program) ACAPO (Blind and Partially Sighted Association of Portugal) APS (Portuguese Association of the Deaf) and Salvador Association participating as consultants. In the morning the blind visitors can smell, hear the sounds fumble, botanicals and materials of the palace facades. Also in the morning you can explore the Monserrate Palace Park by wheelchair through equipment helps drive manual wheelchairs. In the afternoon the deaf visitors can also visit the palace with an interpreter of Portuguese Sign Language (LPG). All these activities have the support of partner associations. Recomenada the use of footwear and appropriate clothing to meteriológicas conditions. The visit may be canceled if weather conditions are adverse, or adapted to the interior of the Palace of Monserrate.